You know what makes a graphic designer most wanted? It’s his professionalism, when he takes up the criticism as a lesson, when he rectifies it with a smile on his face, when he shrugs off the negativity and when he is ready to absorb whatever comes in his way—that’s what makes a graphic designer desirable. Always be the kind of maker, to whom people run towards. Never get offensive, intrusive or offended by the redo and remake of your designs. You never know what you will be reshaping; remaking and recreating that will make it a masterpiece? Always give your best shot and even if it is denied, refuted and depreciated in the very first place; never lose hope and keep practice on it more and more. Remember, a right thing teaches nothing. It is the flaws and trial & error phase that makes one a perfectionist. Who made the big artists big and professional experts bigger? It was their will, hard work, devotion, constant strife and determination that paid off. No matter how challenging the task is, stay hooked to it until you carry it out beyond expectations. 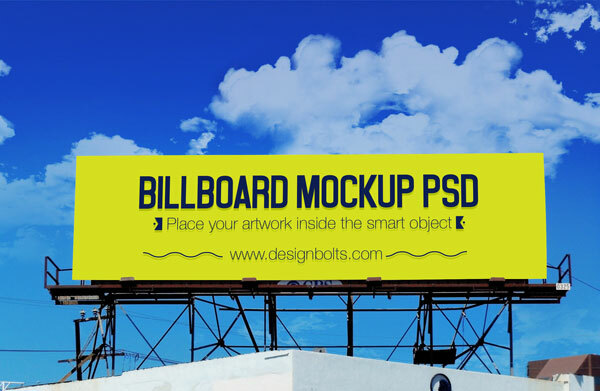 Today I am unfolding before you 3 free outdoor advertising Billboard (hoarding) mockup psd files. 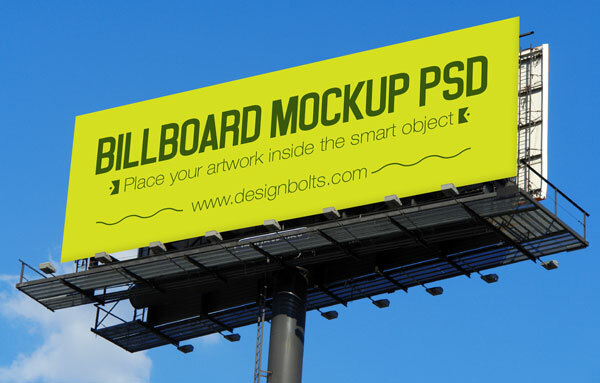 Use it to insert in your own design and show it to your clients so it will be easier for them to get a look over it that how their billboards shall be looking like in actual form. Obviously all it takes is beauty and grace of the design, and when the creative piece is hung along the road, who won’t stop to give it a gaze? 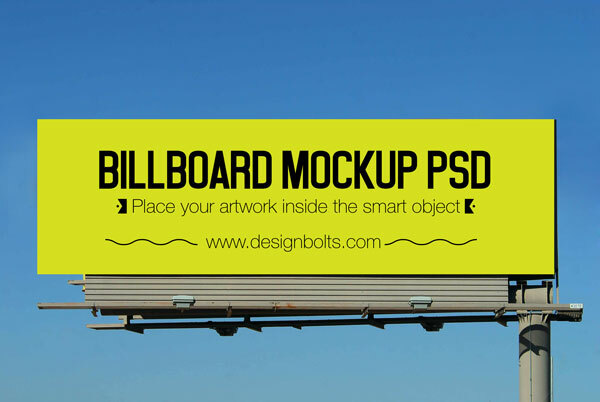 I am sure this mockup will be a great help for you in your upcoming hoardings’ projects. So stick around for more such interesting posts that we are supposed to bring up right from here to accommodate you. Don’t forget to leave your feedback. Your words are ample to keep us going straight and not to get stumbled by stones in the way!